With substantial, noticeable results, zero surgery, and instant recovery time, there are numerous reasons why BOTOX® Cosmetic continues to be chosen by millions of women, countless men, and their dermatologists and doctors. BOTOX® Cosmetic could be the choice for you. You might feel like the moderate to severe glabellar lines and wrinkles between your eyebrows cause you to look tired or unfriendly; or you may have various other reasons for being curious about BOTOX® Cosmetic. Contact us about BOTOX® Cosmetic to discover if it’s right for you. BOTOX® Cosmetic is a medication which is injected directly into muscle tissue under the skin and is used to improve the appearance of moderate-to-severe frown lines between the eyebrows for a short period of time. It is a temporary but effective treatment. BOTOX® Cosmetic is administered by a physician, dermatologist, or healthcare professional as a simple, nonsurgical treatment that’s injected into the muscle tissue between the eyebrows. It works by obstructing nerve impulses to the injected muscles. This decreases muscle activity that creates moderate to severe lines to develop between the eyebrows. Aging skin, wrinkles, and fine lines result from a combination of factors. It’s not only about cellular changes, collagen depletion, loss of hormones, or damage caused by free radicals. The vertical lines which develop between your eyebrows – are caused by muscle contractions. Whenever you concentrate, squint, or frown, the muscles between your eyebrows contract, causing your skin to furrow and fold. After years of frequent contraction, those wrinkles, creases, and fine lines can linger even though the muscles are resting. 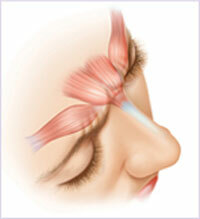 BOTOX® Cosmetic works by blocking nerve impulses to the injected muscles. This lessens muscle activity that creates the persistent wrinkles to form between the eyebrows. Frown lines are every woman’s worst nightmare. Whether they are 1’s (a single furrow), 11’s (double furrows) or 111’s (multiple ones), they make you look older – which is never a good thing. Dermatologists agree that aging makes your skin more elastic, and when you combine that with many years spent squinting at papers or computer screens; focusing hard on the task at hand; or frowning, your skin will form creases that won’t go away. This is happens a lot between the eyes, where the skin is thinner and frown lines are more visible. Thankfully, there’s a solution! A few small injections of BOTOX® Cosmetic from a dermatologist or other specially trained medical doctor can reduce the muscle activity in this area (as well as others) stopping these frown lines in their tracks. In a matter of minutes, your frown lines will go from very visible to hard to see. No surgery is required. A few small shots are all that you need to look years younger! Getting BOTOX® takes ten minutes – and the results show up almost immediately. The results last up to four months, much longer than some other non-surgical dermatological procedures. HOW ARE BOTOX® COSMETIC PROCEDURES DONE? Talk to Dr. Price to see if BOTOX® will work for you. You will need to go over all of your medical conditions, as well as list all of the medications and vitamins that you take. A full listing of all of your skin care products and regimen may be required as well. 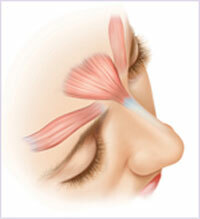 Dr. Price will look at the muscles in your face to see if BOTOX® will give you the results that you want. Make sure to ask any questions that you have about BOTOX®. Dr. Price will inject a small amount of BOTOX® into the areas that you have already discussed. There is no surgery required – just a small needle! You will not need to undergo anesthesia, and will be awake the entire time. You might need to have the injection areas numbed slightly, but this can be done with anesthetic cream or a cold pack. Of course, nothing is in dermatology is without side effects. The potential ones for BOTOX® include bruising, redness, swelling, bleeding, inflammation, pain, tenderness and infection. BOTOX – Dermatologist Madison, MSIf you have Lou Gehrig’s Disease (ALS or amyotrophic lateral sclerosis), Lambert-Eaton syndrome, myasthenia gravis, or any other conditions that affect your nervous system or muscles, please let Dr. Price know before you get your BOTOX® Cosmetic injections. You also need to go over any medications and vitamins that you are currently taking, as well as any allergies to medications or botulinum toxin. If you have had BOTOX® in the past and had an unpleasant reaction to it, you’ll need to discuss this as well. 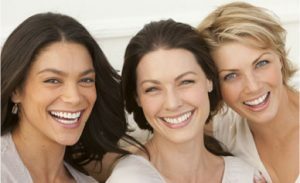 Reduce your frown lines by adding BOTOX® Cosmetic injections to your skin care regimen! BOTOX® Cosmetic is a medication that is injected by a dermatologist or specially trained medical doctor. It is available only through licensed medical practices as it is a prescription medication. BOTOX® Cosmetic is a nonsurgical skin care treatment that is designed to reduce the frown lines that form between your eyebrows. BOTOX® Cosmetic should only be used in people between the ages of 18 and 65, and works best on moderate to severe frown lines (called, in dermatology terms, glabellar lines) that make people look older. When used correctly, BOTOX® Cosmetic removes this sign of aging, making you look younger. BOTOX® Cosmetic relaxes the nerve impulses in the muscles between your eyebrows. This stops them from furrowing and reduces the 11’s (the lines) that form between them. You may see improvement in within days, although they will continue to improve for up to one month – 30 days – after you receive this anti-aging skin care treatment. The results from a BOTOX® Cosmetic treatment can last for 4 months. However, your personal results can vary, since everyone is different. The results of a BOTOX® Cosmetic treatment can visibly last for up to 4 months. Your results might vary; as this depends on many different factors including how pronounced your glabellar (11s) lines are. It is best to speak with your dermatologist or trained medical doctor about this so that you can schedule a follow up appointment. Before your BOTOX® Cosmetic treatments begin, your dermatologist or medical doctor may decide to number the skin between your eyebrows with anesthetic cream or an ice pack. This is done to prevent the discomfort that may occur during this skin care treatment. There is no surgery involved, and you will be awake for the 10 or so minutes that the procedure takes. You will still be able to frown, look surprised, smile, and look happy after receiving BOTOX® Cosmetic skin care treatments. The results will be visible, but are subtle, so you won’t look like you’ve undergone any major cosmetic procedures. All that BOTOX® Cosmetic does is reduce the muscle activity between your eyebrows, reducing the 11s that make you look older. Although BOTOX® Cosmetic is approved by the FDA and is safe when administered by a dermatologist or specially trained medical doctor; some people should not receive it. If you have had a past allergic reaction to the botulinum toxin in other forms, such as Dysport®or Myobloc®, then BOTOX® Cosmetic is not for you. The same is true if you are allergic to any of the ingredients in BOTOX® Cosmetic. Also, if you have a skin infection between your eyebrows where your BOTOX® Cosmetic treatment will go, you should not undergo the treatment, as this can worsen the infection. If you have asthma, emphysema, or any other breathing problem. If you have ALS (Lou Gehrig’s disease or amyotrophic lateral sclerosis), Lambert-Eaton syndrome, myasthenia gravis or any other disease that affects your nerves and muscles. If you plan to have facial surgery or have already had facial surgery. If you have any known bleeding or swallowing problems. If you plan to become pregnant, already are pregnant, or are currently breastfeeding or planning to do so. If you have noticed any drastic or subtle changes in your facial structure, such as drooping eyelids, problems raising your eyebrows, forehead muscle weakness, or any other issues. Although BOTOX® Cosmetic treatments have been approved by the FDA, they can sometimes cause a number of serious side effects. Some of the less serious side effects that are more commonly associated with this skin care treatment are tenderness, inflammation, swelling, bruising, bleeding, redness, pain and infection that can occur in the area of the BOTOX® Cosmetic injections. The more serious side effects of this skin care treatment that you may experience are headache, tiredness, neck pain, dry mouth, discomfort, eye problems (including dry eye, drooping eyelids, blurred vision, double vision, decreased eyesight, and swollen eyelids) and allergic reactions to the compounds in BOTOX® Cosmetic. The symptoms of an allergic reaction include wheezing, feeling faint, dizziness, asthma-like symptoms, itching, red itchy welts and a rash. If you experience any of these serious side effects, please alert your dermatologist, medical doctor, or other trained health care personnel right away. If you stop receiving BOTOX® Cosmetic, the frown lines (glabellar lines) that previously were visible between your eyebrows will reappear. Over time, they will begin to look just like they did before you underwent the treatment.